- By co-transcriptional editing through polymerase slippage. 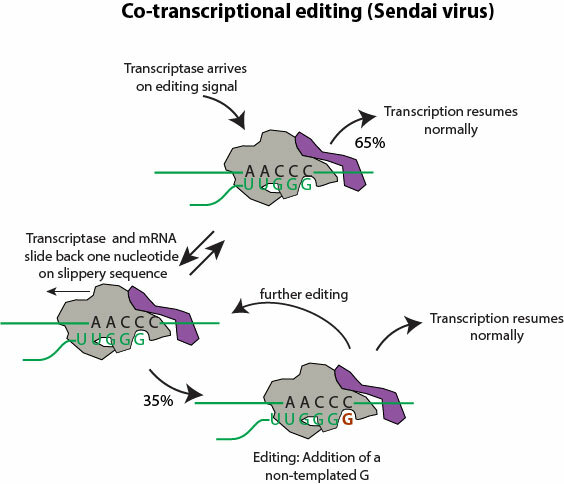 Editing of genomic template would be disastrous, therefore this happens only during transcription in negative stranded RNA viruses, or the edited genomic RNA is not a valid template for replication for deltavirus. Note: The canonic definition of editing implies a post-transcriptional event, but in virology this term is accepted for polymerase slippage.